Undeclared Anglo-German War Raging Inside The G7. 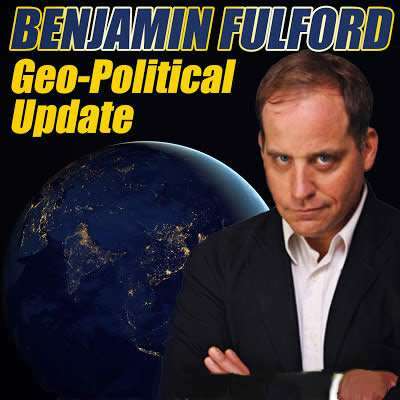 By Ben Fulford. 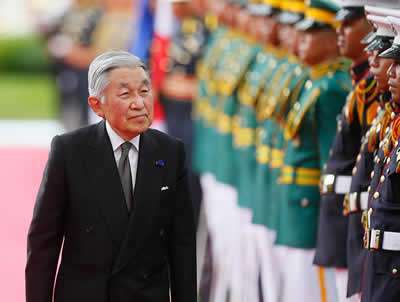 The arrival of a new British-educated Emperor in Japan and the re-arrest last week of former Nissan/Renault Chairman Carlos Ghosn are part of this war, according to Japanese military intelligence sources. The possibility of Japan returning to being an independent country clearly has the Khazarian Mafia rattled. Morita was apparently referring to a call to nationalize the Khazarian-owned Bank of Japan. The military police need to arrest him as soon as possible and force him to disclose who paid him to convey this threat. We can also point out that the White Dragon Society (WDS) has been given the option to use as many as three 500-kiloton nuclear warheads. That means we could retaliate against any new attack on Japan with the destruction of, say, Frankfurt, Tel Aviv, and Zug, Switzerland. However, unlike the satanists, the WDS does not believe in using the mass murder of innocents to achieve political ends. Instead, we use pinpoint murder of the guilty. In case you think we are bluffing, it is worth pointing out that over 200 people involved in the Fukushima mass murder have already been executed, including so-called “Ambassador” Christopher Stevens and Black Pope Peter Hans Kolvenbach. This time any new punishments would include the Führer of the DVD Nazi continuum of the Khazarian Mafia, WDS sources say. The new Führer and head of the Black Sun organization who replaced the executed George Bush Sr. is, according to Japanese military intelligence Donatus, the Langrave of Hesse. He is a descendant of Queen Victoria and a relative of Adolf Hitler as well as of the Italian Emperor Victor Emmanuel, according to MI6 and other sources. His British cousins have already conveyed a message to him to cease and desist. Okay, now let’s look at what signs there are of secret warfare between Anglo and German factions within the Western elite. The most obvious thing, of course, is the turmoil over Brexit. British intelligence sources say that Brexit has already happened as legally required on March 29th, despite posturing by politicians who pretend it has not. A visible sign of this is the fact that British passports issued after that date do not include a mention of the European Union. Prime Minister Theresa May is still trying in vain to push a deal that would hand control of the British military intelligence apparatus to the Germans, they say. 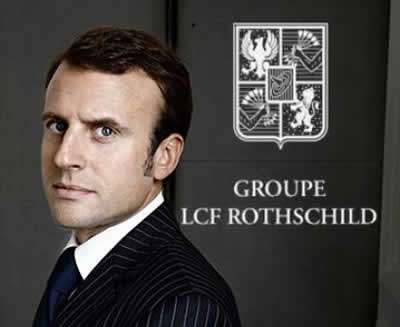 Leaders of the French yellow vest movement point out that French President Emmanuel Macron was an employee of the German Rothschild/Saxe Gotha/Hesse family and needs to protect himself with foreign bodyguards. They also note that German armored vehicles with EU stars (instead of swastikas) are being used to repress the yellow vest protesters. Then, the son of British MI6 Chief Sir Alex Younger died in a mysterious car crash. British intelligence sources say they will soon take drastic action against German-backed fifth columnists. That’s why they have prepared a remote Christmas Island prison camp as their version of Guantanamo Bay to house senior traitors like Tony Blair, they say. As mentioned earlier, this proxy war is also raging in Japan. The re-arrest of Carlos Ghosn last week was a move specifically aimed at Landgrave Donatus, the Japanese military intelligence sources say. The Germans were using Ghosn to try to get Japanese military secrets from Mitsubishi Heavy Industries, they say. Mitsubishi is now merging with Boeing and Lockheed Martin, and the German military faction was trying to penetrate this growing alliance, they explain. Japanese help is now especially important for Boeing, because purchases by Japanese airlines are keeping it afloat, the Japanese sources say. Further help will be needed. “As Boeing faces global stigma from the 737, there may be a global ‘boycott, divest and sanctions’ (BDS) campaign against not just its commercial airplanes, but also its military products,” Pentagon sources elaborate. Now Pentagon sources are telling us that their investigation into the recent crash of the Ethiopian Air Boeing 737 aircraft indicates it was done via remote hijacking by French and German Intelligence. The French and their German masters were able to kill UN officials who worked against French interests in Africa, while at the same time helping to sell Airbus jetliners by ruining the reputation of their Boeing rivals, they say. The U.S. military is also preparing to distance itself from “bloated and greedy” U.S. military equipment manufacturers, they say. “Turkey may be rewarded for standing with Russia on the S-400 [anti-aircraft missile] deal with 5th-generation Sukhoi Su-57” planes instead of “that overpriced Lockheed crap F35,” they note. “Sukhoi may sell this to India, China, Iran, Venezuela, and even Saudi Arabia after it dumps the petrodollar,” they continue. The mention of Saudi Arabia dumping the petrodollar is a clear sign that the de facto U.S. military-controlled government there is preparing to move Saudi Arabia away from Khazarian-mafia control, CIA sources say. U.S. President Donald “Trump’s labeling of Iran’s revolutionary guard as a Foreign Terrorist Organization (FTO) may be a set-up to labeling Israelis defense forces Mossad, Shin Bet, and Aman (military intelligence) as FTO when the 9/11 truth is exposed,” the Pentagon sources add. The Pentagon sources are fully aware that both Iranian and Israeli leaders have been getting orders to try to start World War III from their masters in Zug, Switzerland. Now, as Israel heads into a general election this week, this is a reminder to the citizens of Israel who still don’t get it: Benjamin Netanyahu works for the very same Nazis who carried out the Holocaust or burnt offering to Molech, Ba’al, Set, Satan, etc. in order to force the Ashkenazi Jews out of their ancestral European homelands and into Israel. The Israeli people have a choice: they can make peace on their own terms and come up with a two-state solution, or they can face a war against the combined forces of Turkey, Iran, Syria, Jordan, Iraq, Lebanon, and Qatar. A reminder to those superstitious fanatics who are mind-controlled by ancient forgeries: The U.S. military will not fight to defend the rogue state into which Israel has degenerated. Wake up and face reality. There will be no Gog vs. Magog war. It’s over; it’s time to start a new age. There are many signs this new age has already begun. For example, in what is definitely a game-changer for the planet, Chinese President Xi Jinping’s European visit has resulted in an agreement between the BIS (the central bank of central banks) and China to recognize Asian gold as money. As background knowledge, Asians control about 85% of the world’s known gold, but most of this gold has been blacklisted from the Western financial system even since the Nixon shock of 1971. Re-integrating that gold into the world’s financial system will amount to a huge shift of financial power away from the Rothschilds, etc. In a related development, Mexican sources say the meeting between Mexican billionaire Carlos Slim and Japanese Emperor Naruhito about which the NSA had informed us last week was to discuss the founding of an independent Mexican central bank. Mexican President Andres Manuel Lopez Obrador (Amlo) is establishing an Aztec Bank in cooperation with Slim to bypass the existing banking system and distribute social benefits directly to the poor, they say. We note that Italy is also moving to nationalize its central bank and seize its gold. Many other countries will follow. So what is the latest excuse to defend Trump after he declared the Iranian army terrorist groups by the request of Israel. This will affect America more then Israel. Can’t wait for that excuse to defend Trump. I don’t think the Galactics will allow any form of nuclue detonations as there are just parked in our skies observing the ascension progress. It’s basically a power struggle, and threats thrown back and forth but noone in there right mind will dare try it in this time and age. It simply is not allowed, as it affects the fabric of creation itself, and so the real Guardians of this social experiment will have to take this toys away from us if they have to. What makes you think that. There are literally billions of earth like planets out there what makes you think they care about this one? They are probably just here to witness how a race wipes themselves out and learn from that? For them to stop us from nuking each other is interference after all. And as a lot of people say they don’t want to interfere. 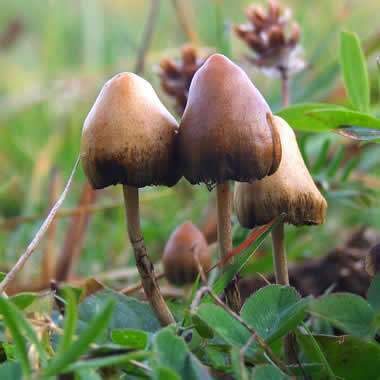 @Thomas it appears you do acknowledge the presence of our Galactic brothers and sisters, which is a good start. Consider we are never separated from source creator the same way our galactic family are not, so we are all connected energetically to each other. We are only beginning to understand the fabric of creation. To began with, all is energy, consciousness is energy, you are nothing but just energy in a solid state. And there is a purpose to all this that is happening and it’s a planetary liberation process. We know as the ascension or the Harvest. So humanity is being prepared for the harvest, which all we all agreed to partake in some point in our soul journey. And so the galactics know this, that’s because some us have been galactics ourselves in other lifetimes. So if the collective decided already that this is note the way it will unfold for humanity, which we did, by our collective free-will, then by all means as a soul agreement, ET’s or our Galactic family will intervene to stop any nuclear detonation to honor the collective agreement. Hope that helps clear things. Información errónea, el banco azteca no es de Slim es de Salinas pliego. Y ya tiene tiempo que opera en México el banco azteca. The mask of BM ( and even if this is truly a BM , and not someone – or something – else ) fell down … and the mask of so called “White Dragon Society” . Anyone considering an option to strike civilian centers with nuclear weaponry is not only a fool – but a monster , a Cabal itself . Thats what the Cabal tried over and over , to instigate the nuclear war to “clean” and reduce the population of the planet . They failed numerous times , because more technologically advanced factions and species took direct action against this – Cabal couldnt be permitted not only to wipe major population , but actually to collapse several timelines , and sustain only the fallen transhuman timeline .